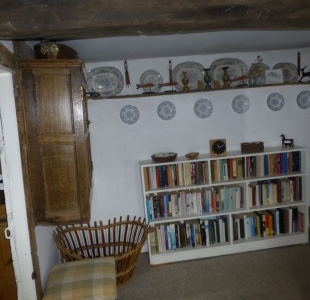 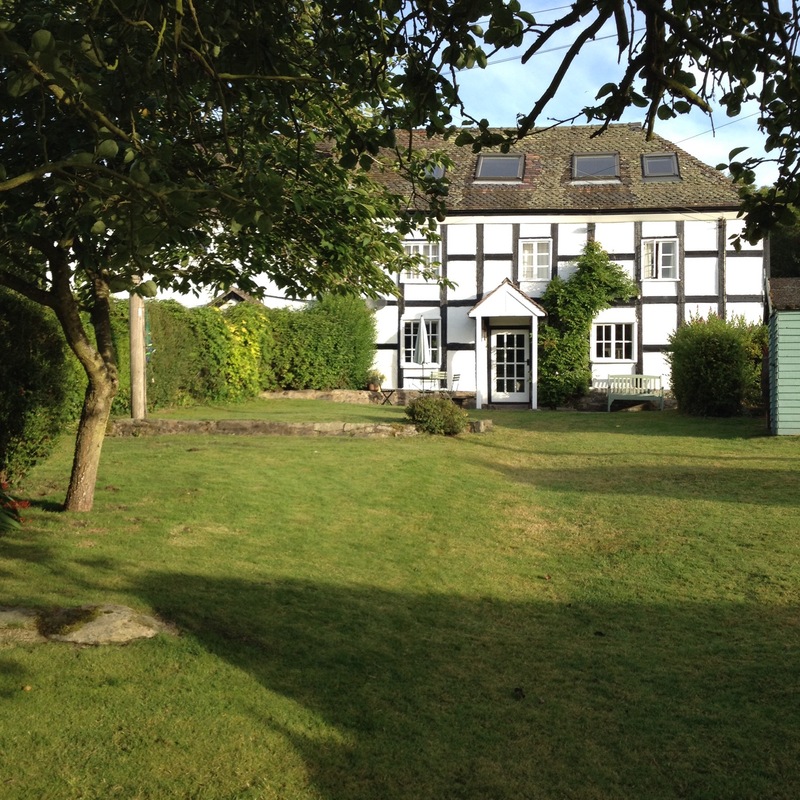 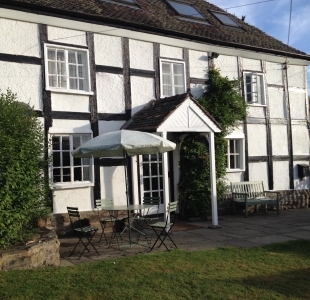 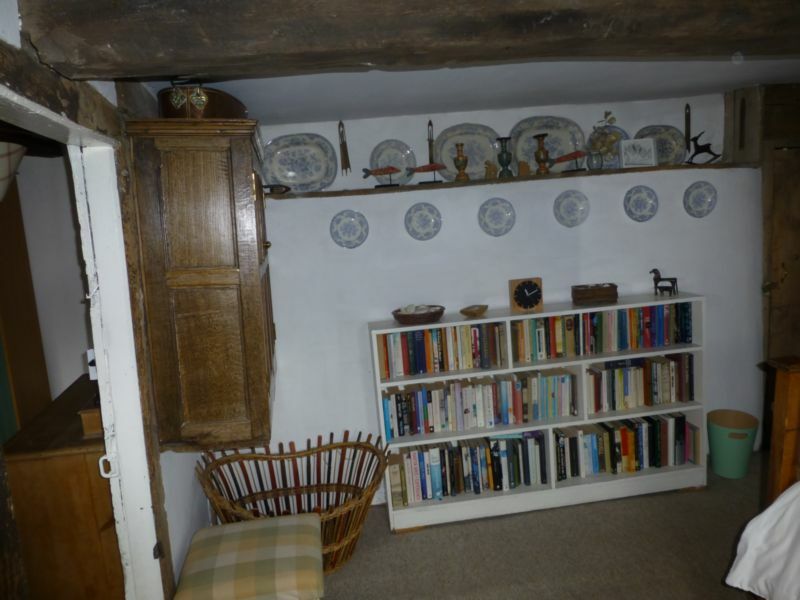 The cottage is black and white, half-timbered and dates from the 18th Century. 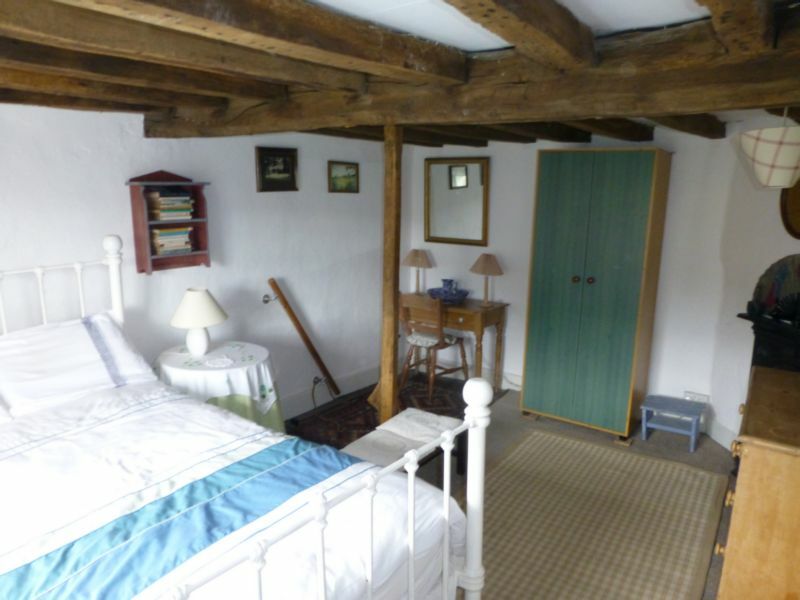 The recent restoration has retained many of the oak beams and original timber framing. 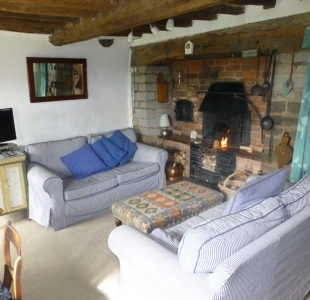 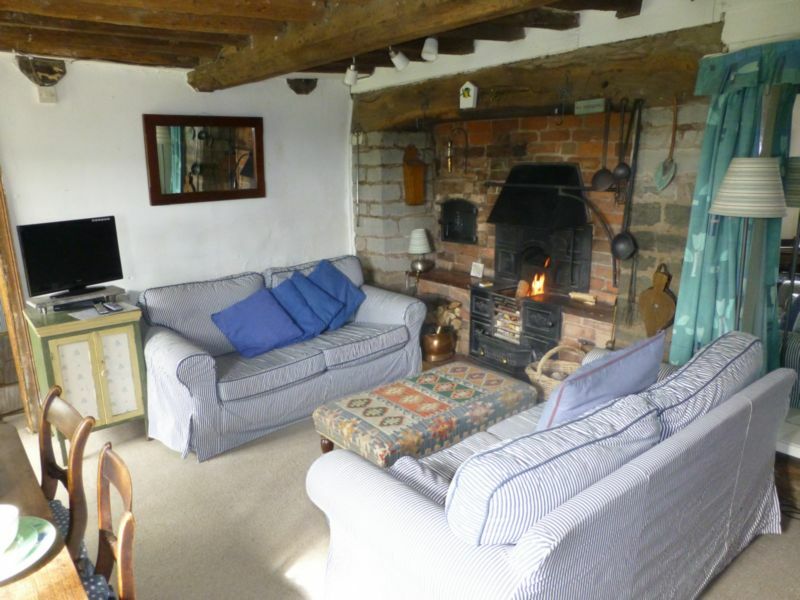 On the ground floor is the dining/sitting room with the original open brick and stone fireplace and bread oven. 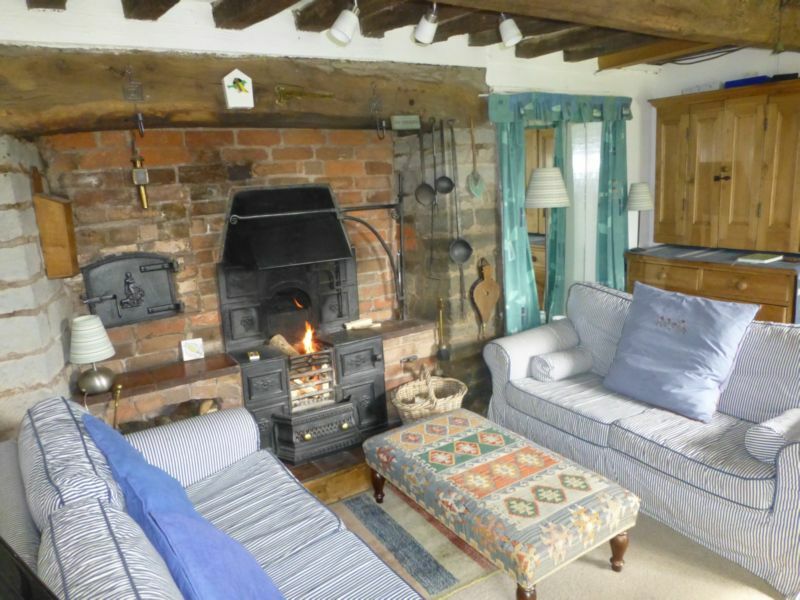 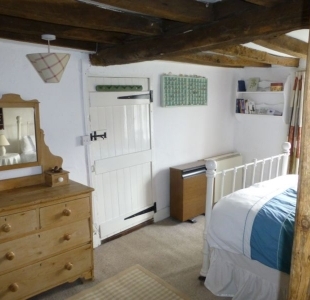 Adjacent to this is another sitting room with Coalbrookdale fireplace, 2 windows on opposite walls and an open wooden staircase leading to bedroom 2. 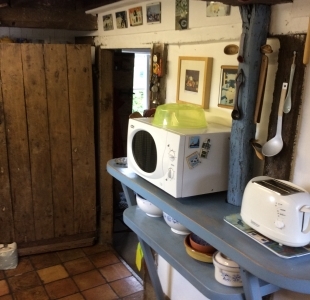 There is a television, video player, CD tape-recorder, radios. 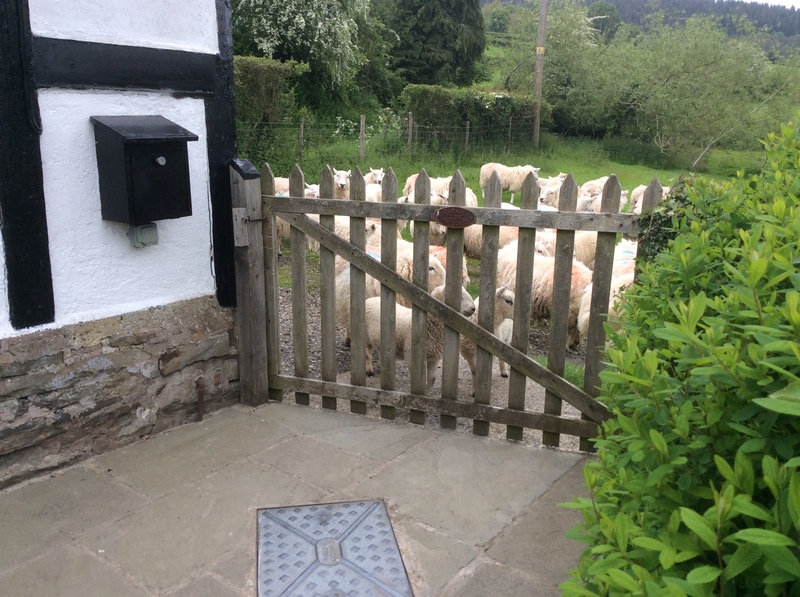 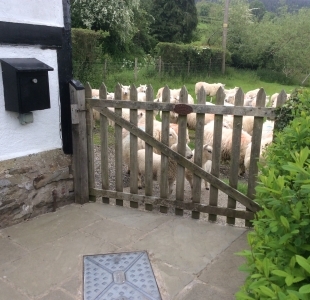 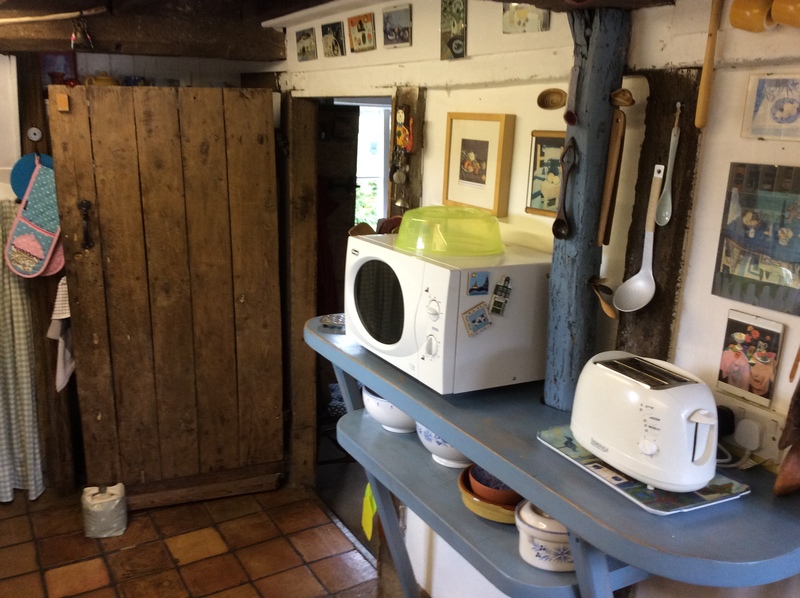 WiFi is available throughout the cottage. 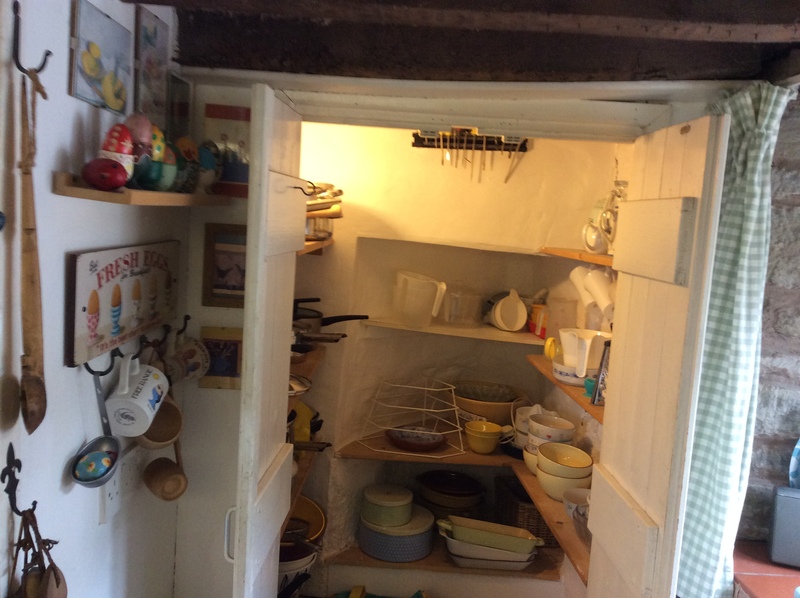 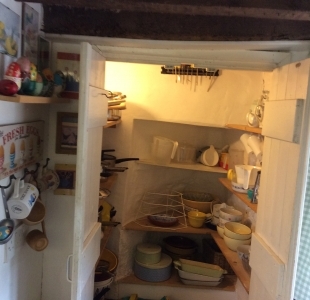 The kitchen is L shaped, still with its original boiler recess. 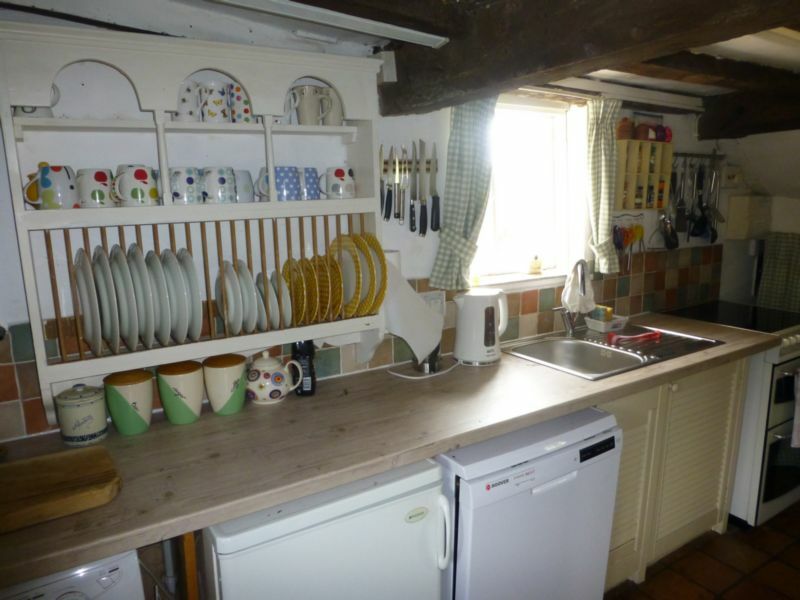 It is well equipped with electric cooker, fridge, microwave ,washing machine, tumble dryer, dishwasher, crockery, cutlery and table linen. 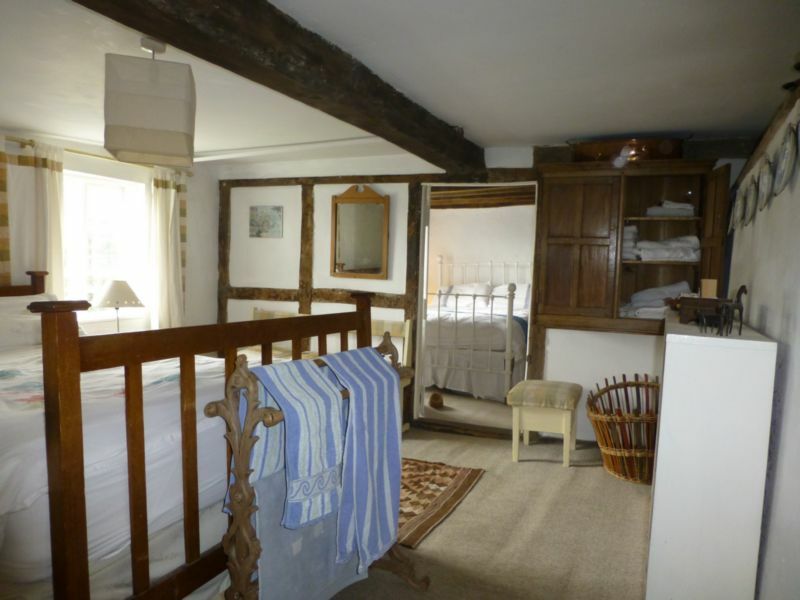 Upstairs there are two bedrooms, bathroom and landing. 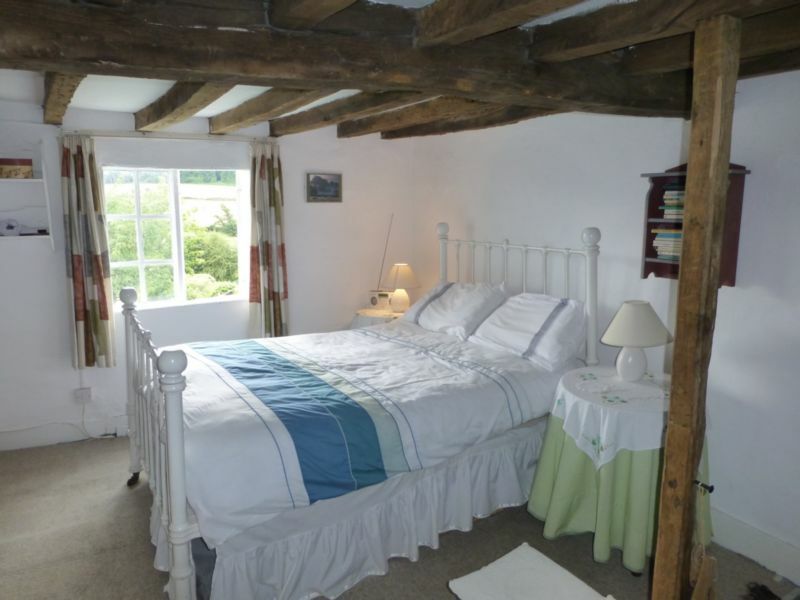 Both bedrooms have double beds with electric blankets and a plentiful supply of hot water is provided by electrical immersion heater. 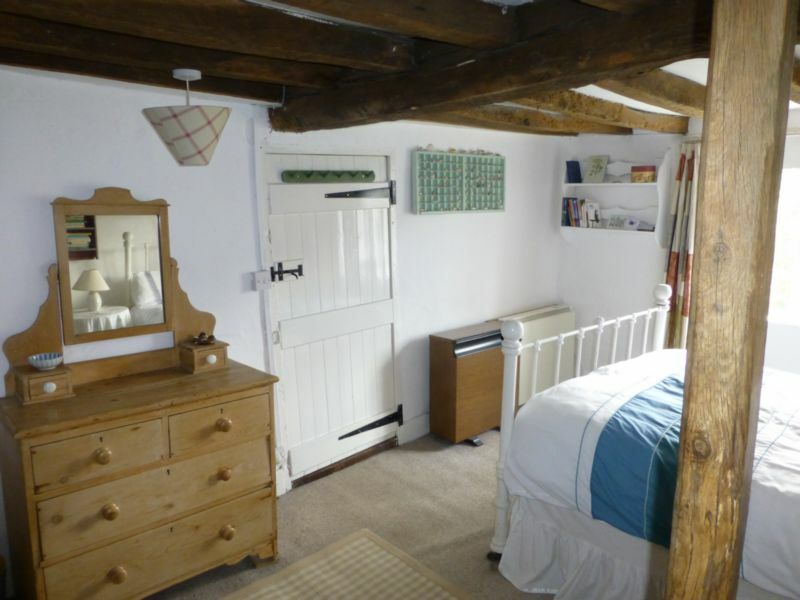 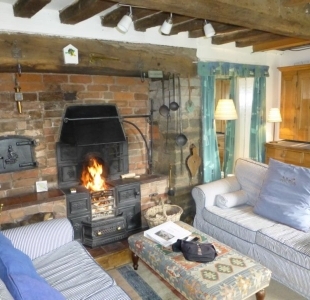 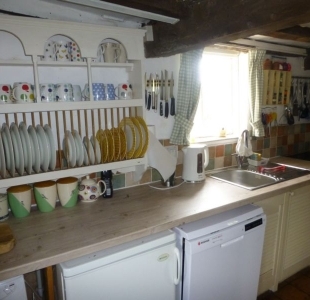 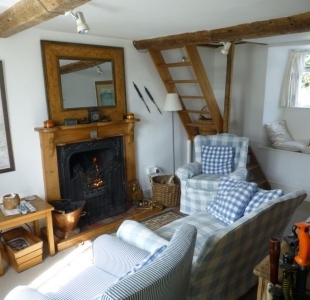 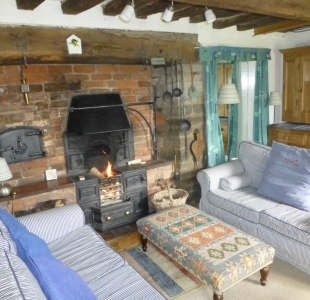 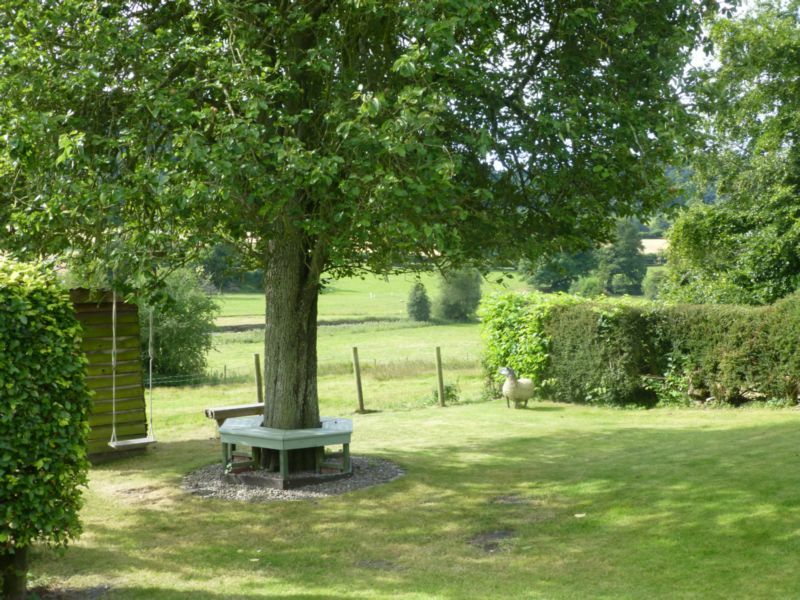 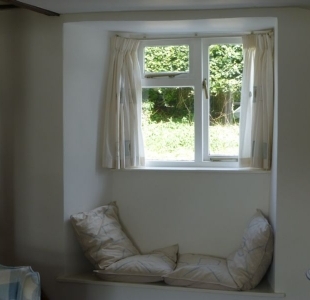 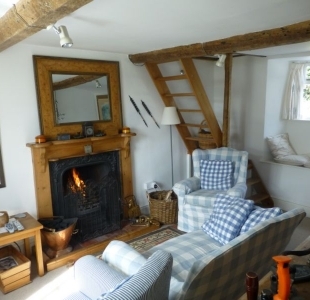 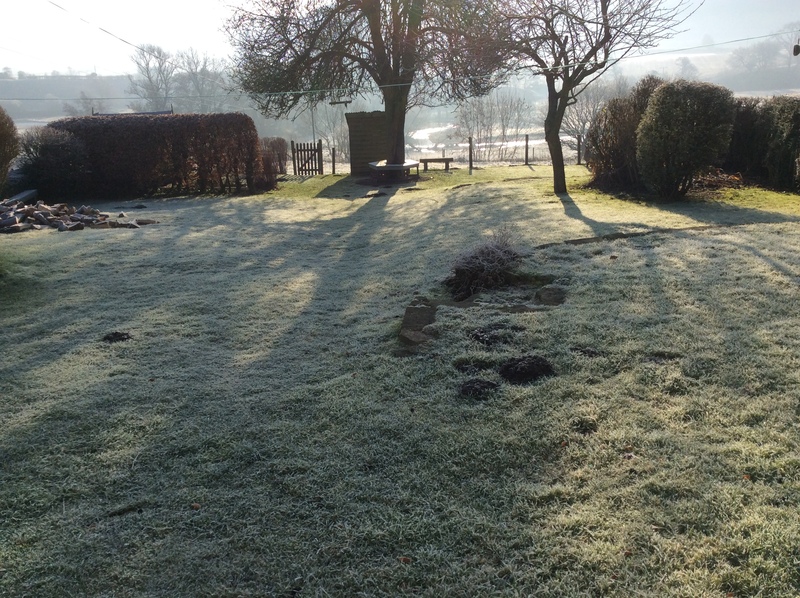 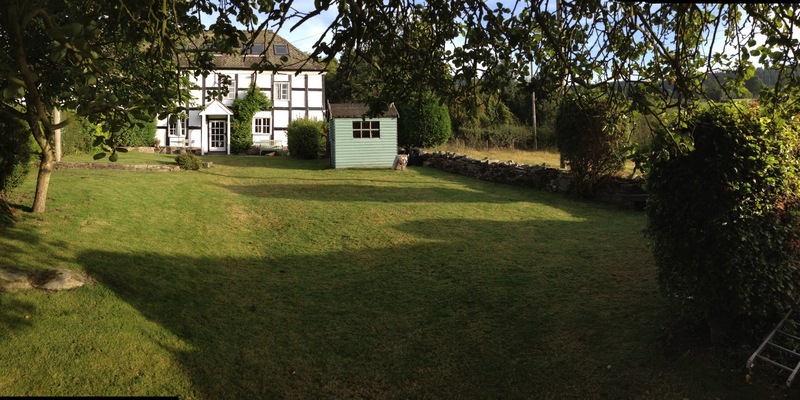 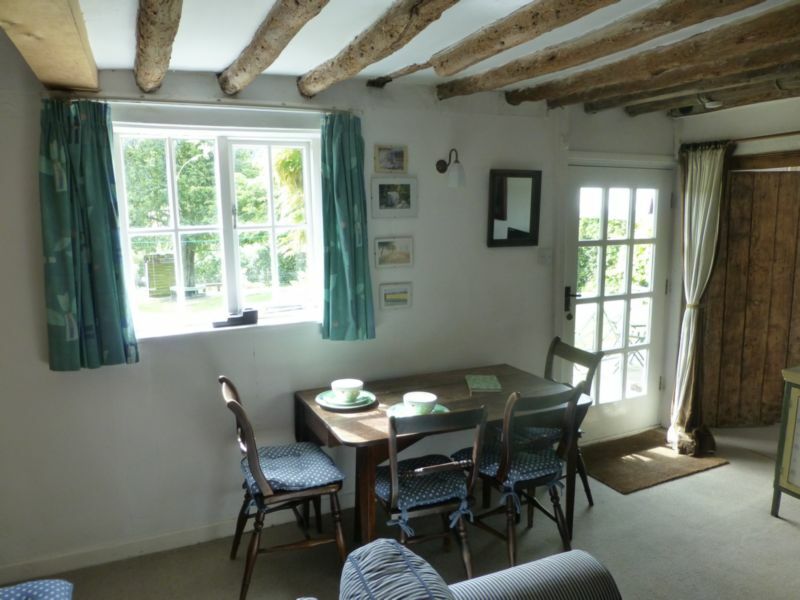 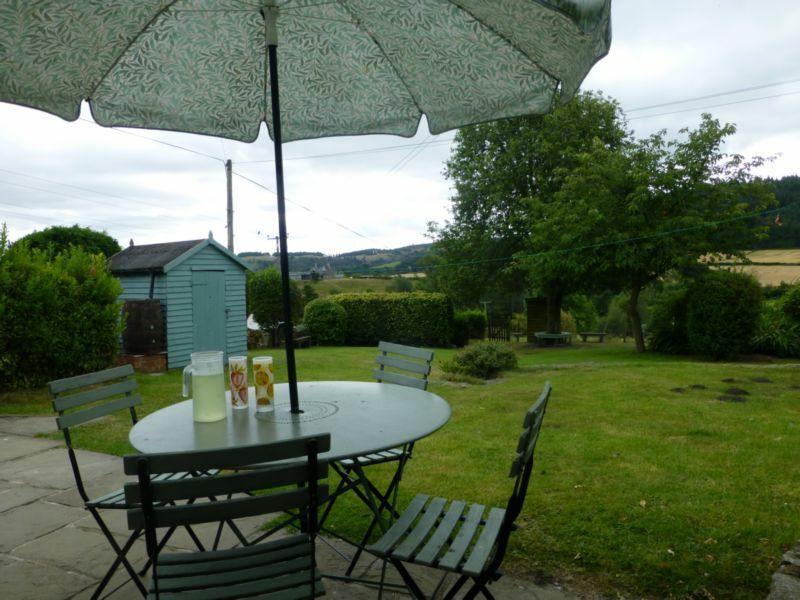 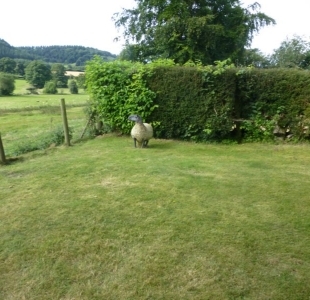 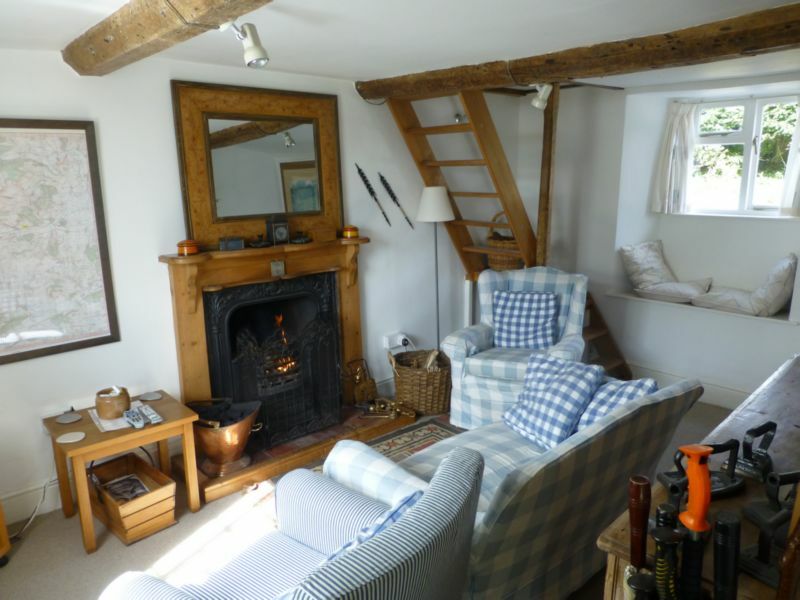 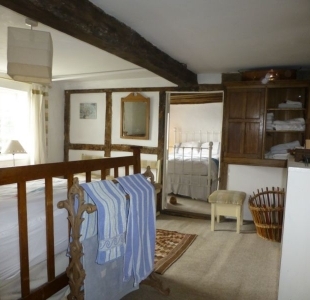 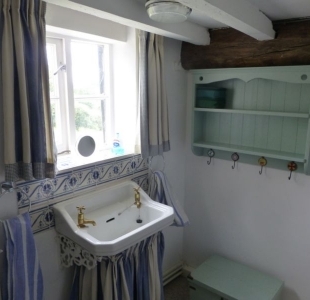 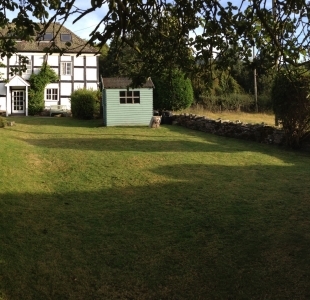 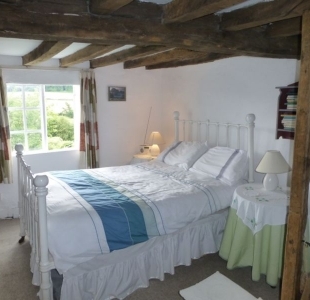 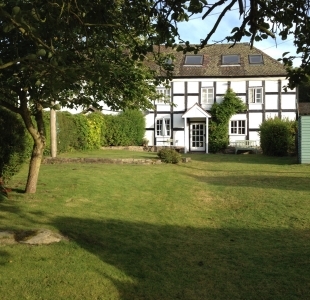 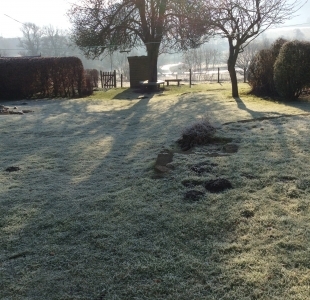 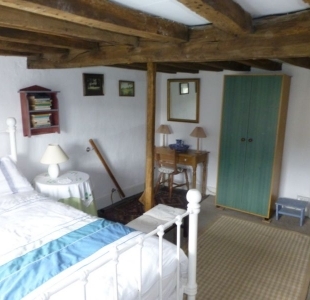 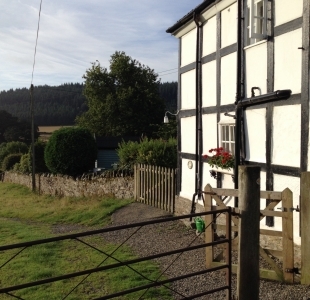 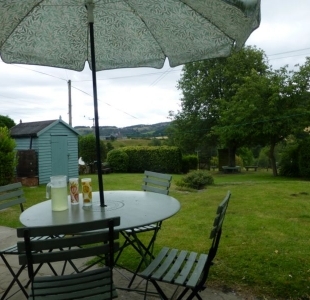 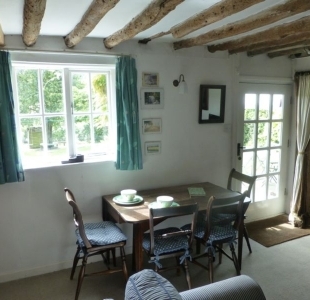 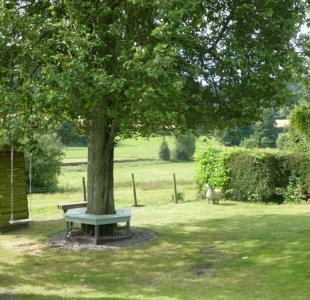 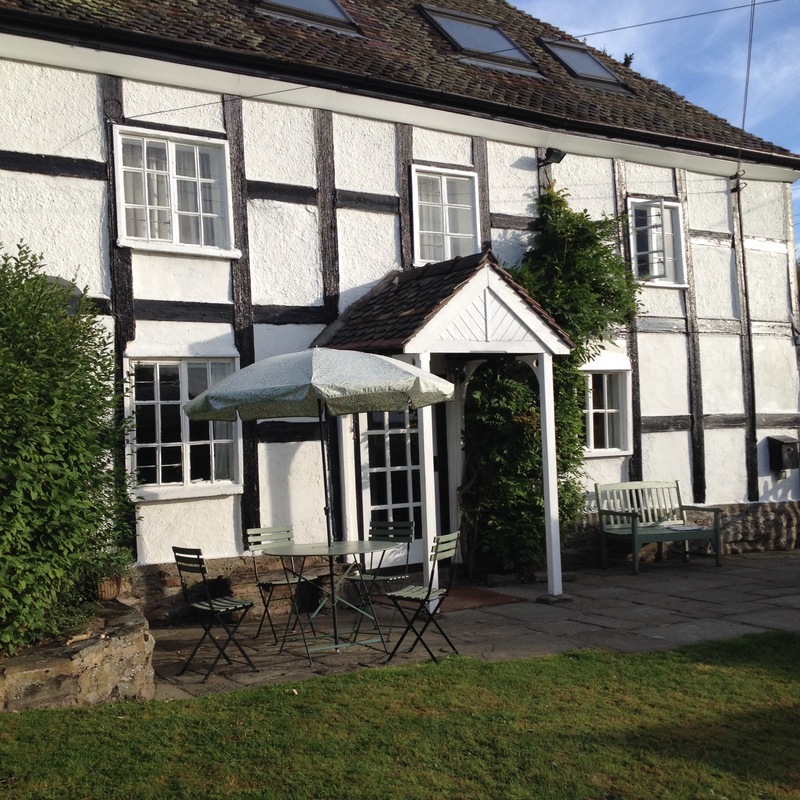 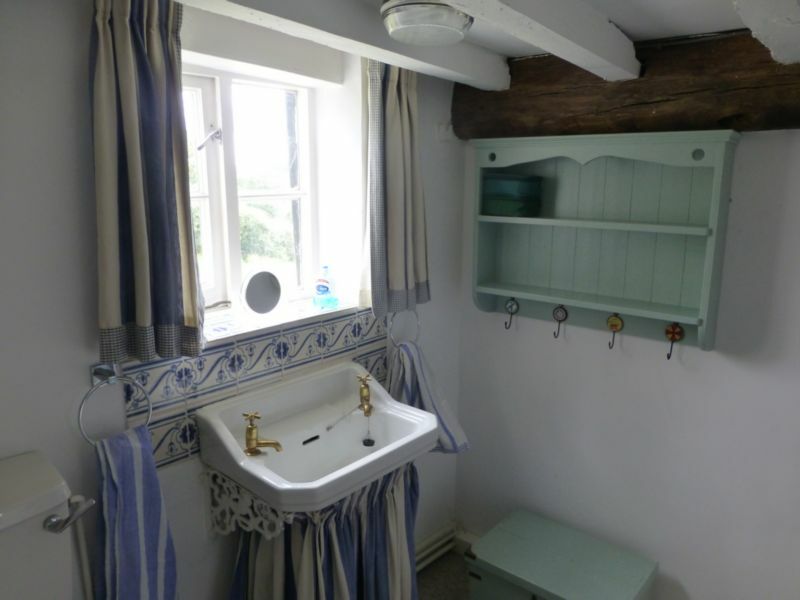 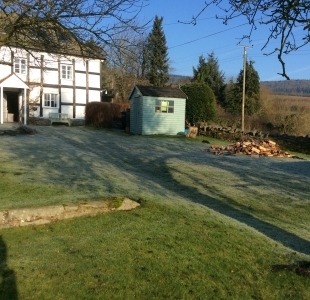 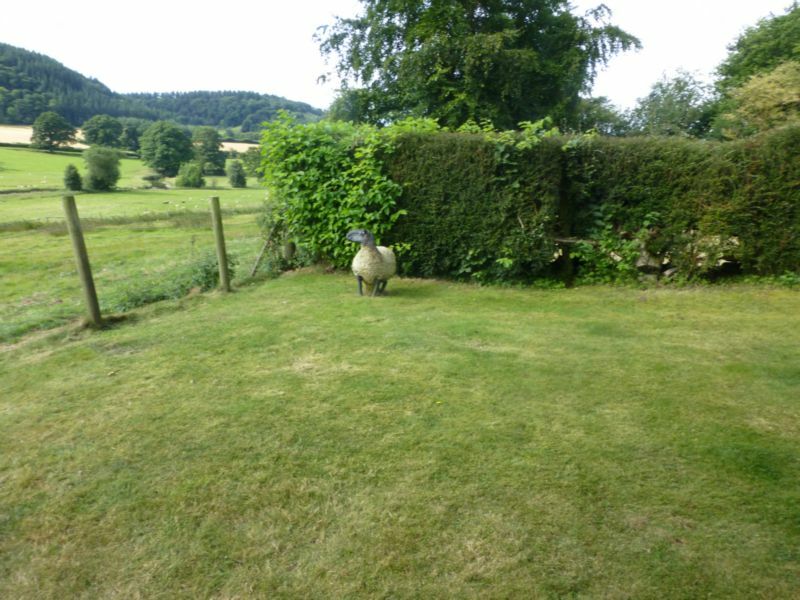 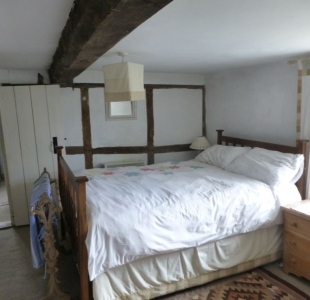 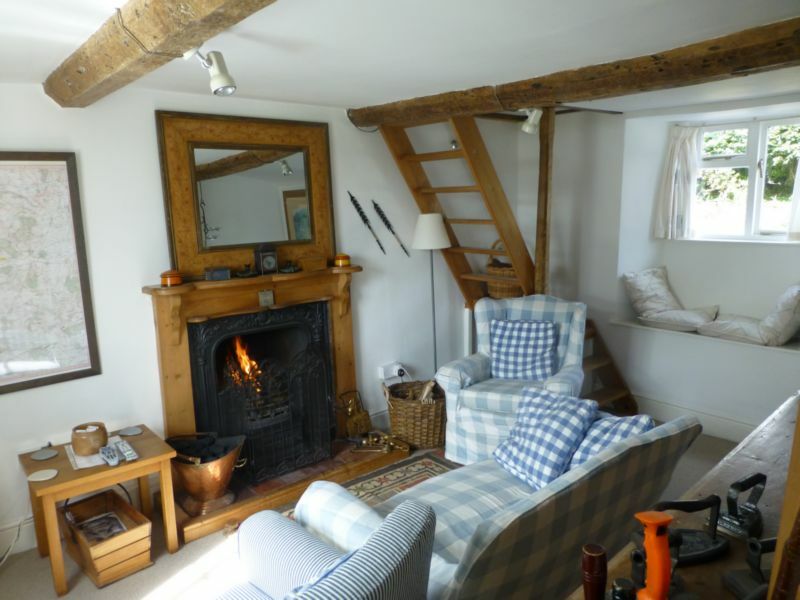 The cottage is supplied with equipment and facilities for four people. 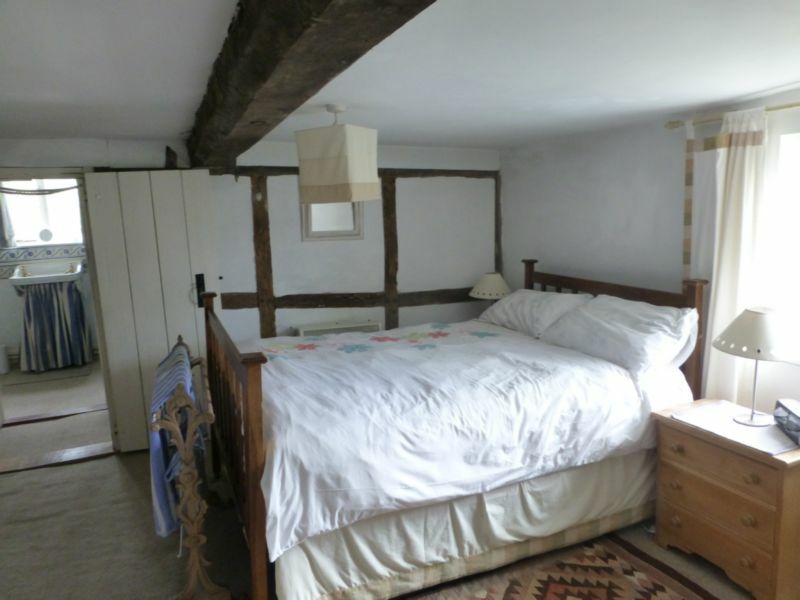 Bed linen, towels, tea towels, etc. 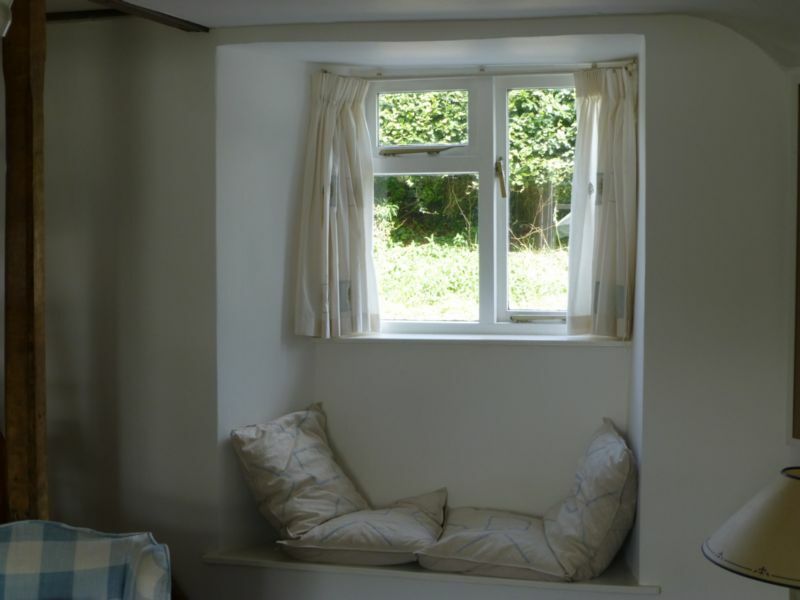 are provided. 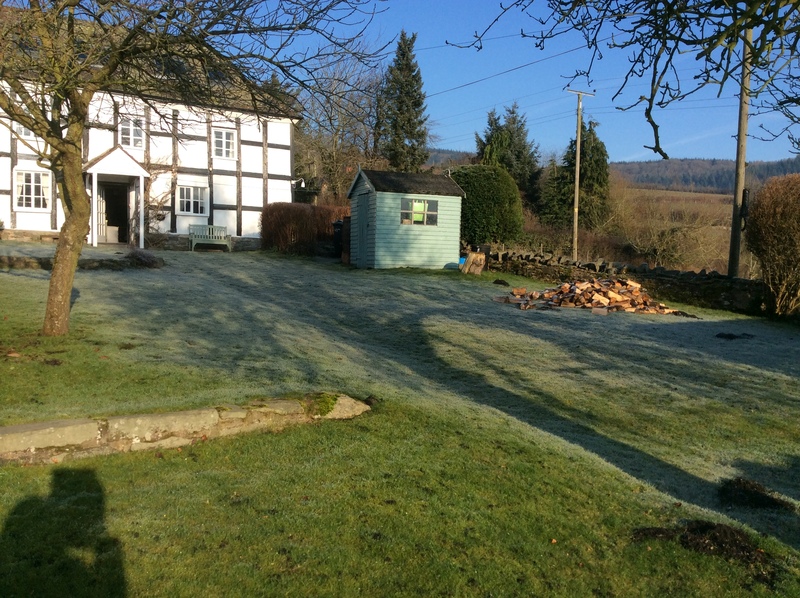 Logs for the fires are kept in the woodshed at the bottom of the garden. 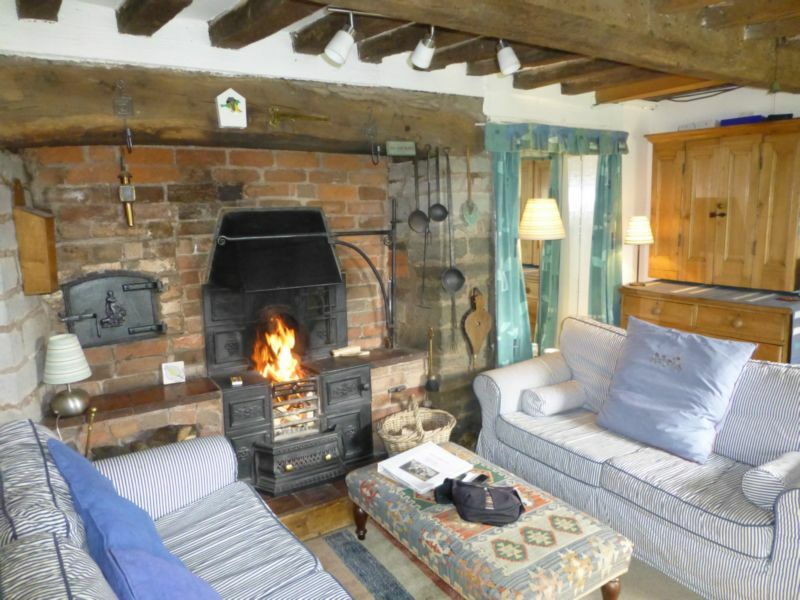 There are power points and electric storage heaters in every room and the cottage is carpeted throughout. 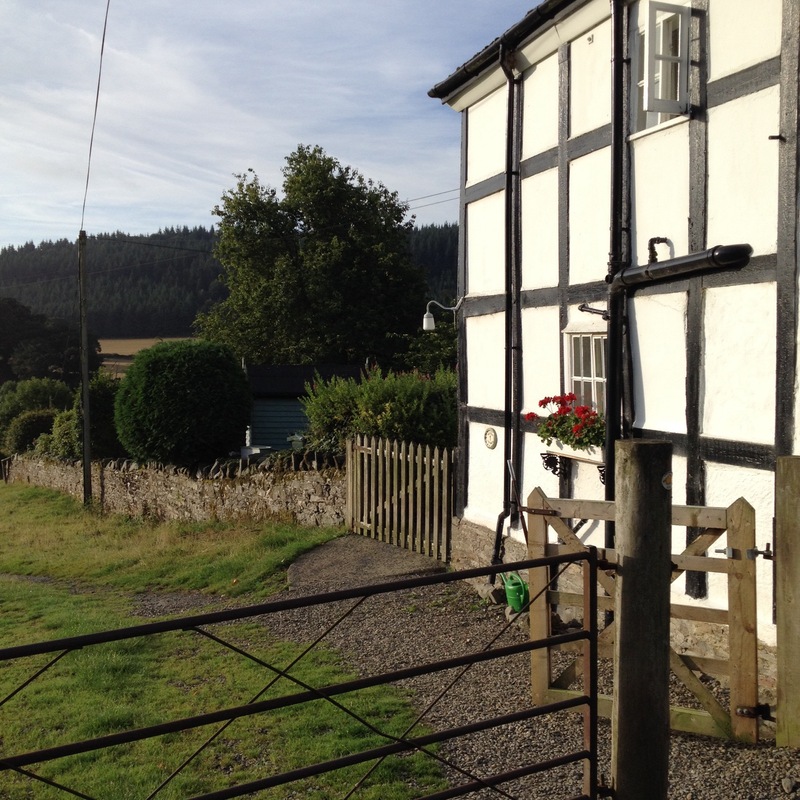 There is parking space for two to three cars at the rear of the cottage.